Jesus announced the gospel of the Kingdom of God, but his message is hard for us to understand, because real kingdoms no longer exist. Modern kings are just ceremonial figureheads trotted out for special occasions and the covers of women's magazines. These rock star kings give a distorted view of the Kingdom of God, because they are worshipped, but they have no authority. Real kings had absolute authority over every person and thing within their kingdom. A king without authority was not a real king. They were pretenders. Authority is the heart of a kingdom. If there is no authority, there is no kingdom, so to understand the Kingdom of God, we must understand the nature of authority, and how it interacts between heaven and on earth. Most kings imposed their authority with military force. God has a totally different approach. He uses Free authority to accomplish his purposes on earth. This book explains the difference between Imposed Authority and Free Authority and explains why this has constrained God's ability to work on earth. Everything in this universe is shaped by authority. In the beginning God said, "Let it be" and it was. He had authority over everything. Two chapters later, God said, "Let us give authority to humans". Why on earth did he do that? When Jesus was being tempted, the devil said, "I have authority over all the kingdoms of the world". How did that happen? When Jesus preached the gospel, the people recognised his authority. Who gave him authority? By the end of the gospel Jesus was saying, "All authority in heaven and on earth has been given to me". How did that happen? The Book of Revelation says that Jesus has authority to open the scrolls that release God's activity on earth. How does that work? 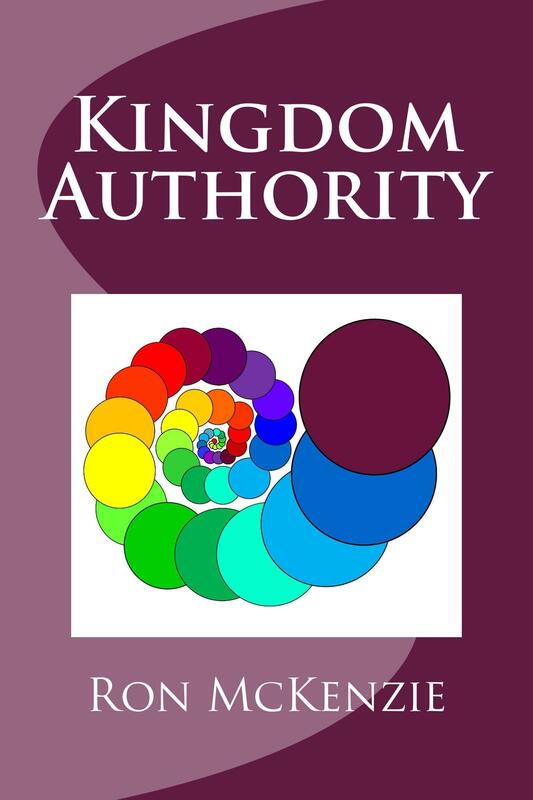 Kingdom Authority describes the history of authority in both the spiritual and physical realms. It explains the big authority shifts that have had massive impacts on earth. Most theologies jump from the fall straight to the cross, without much need for the stuff in between. That is a mistake, as if we ignore the events described in the Old Testament, we will fail to understand everything God is doing, and the big authority shifts that have constrained him. If we do not know about authority, we will not understand why evil has been so active on earth. God gave authority over the earth to humans. The forces of evil have been active on earth, because humans gave them authority, while God did not have the authority he needed to deal with evil. It took a special human do that, and until he came, the powers of evil had a ball. Over the last fifty years, Christians have rediscovered the power of the Holy Spirit. Power is really important, so we need the power of the Holy Spirit working in our lives. However, the Holy Spirit has not had a free hand to bring in the Kingdom of God. He is often constrained by lack of authority. If we want to experience the fullness of the Spirit and see him working to accomplish God's purposes on earth, we must understand the working of authority. This is why the New Testament speaks about authority, as much as power. Jesus has given us the keys of the kingdom. He said that what we bind or release on earth will be bound or released in the spiritual realms. Understanding the nature of authority transforms intercessory prayer. Prayer is not pleading with God to do things that he is reluctant to do, it is finding out what he wants to do and giving him authority. We have a marvellous gospel and the Holy Spirit is up to the job, but the Kingdom of God has still not come in the fullness that Jesus promised. The reason is authority. Two big authority obstacles stand into its way. This book explains how they will be removed, so that God's Kingdom can come as Jesus promised. The gospel of the Kingdom raises a couple of serious questions. Jesus prayed that God's authority would be done on earth and it is in heaven. This raises a big question. How did the God who created the universe end up losing authority over the earth? What happened on earth and in heaven that meant his authority on earth has to be restored? Why has God taken so long? Things went wrong on earth right at the beginning. Yet God let thousands of years go by before he sent Jesus to put things right. Why did he let evil go on for so long, before something about it? To understand these questions, we must understand the working of authority and the big shifts in authority that have shaped history on earth. These big authority shifts that have shaped history are the theme of this book. Customers resident in New Zealand can use PayPal to purchase the book directly from Kingwatch Books for $NZ12.00 including postage. Delivery by standard post. You do not need a PayPal account Just click on the grey Checkout button after confirming your Purchase Details. Ron McKenzie is a Christian writer living in Christchurch, New Zealand.During the 1980s he served as the pastor of a church, but found that he could not manage to do everything that Jesus did. He is now employed as an economist and writes in his spare time.He is married with three adult children.